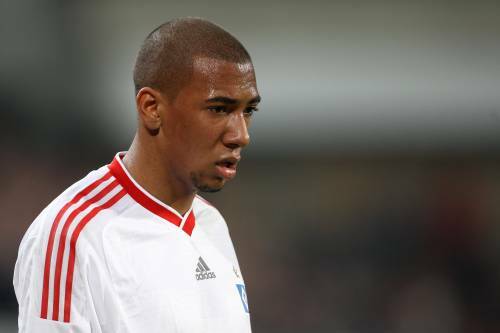 German international centre-back Jerome Boateng has confirmed that he is set to become a Manchester City player within the next few days, by completing a €12.5 million move from Bundesliga side Hamburger SV before the World Cup gets underway next week. “I am going to sign on (for City) before leaving for the World Cup and the deal will be completed, it has been decided that I am moving there. [Manchester City manager Roberto Mancini] came with two representatives to Hamburg and we chatted for one or two hours. He convinced me to make the transfer. He believes that I will definitely need a few months to get settled in once in England, but that he sees so much potential in me that he will improve me. “They said I have just got to live with that, being a Boateng. That has gone too far. That is not on. It’s going to sh*t Jerome, that’s what it is.